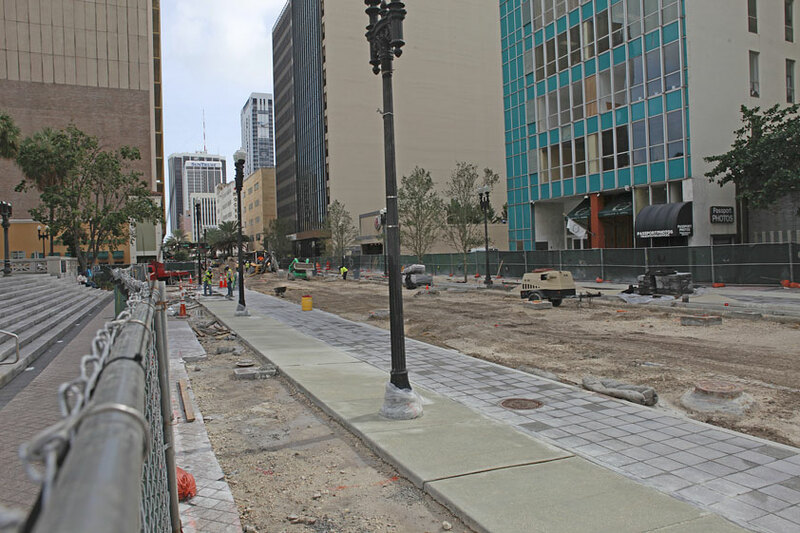 The glacial pace of Flagler Street’s renovation downtown has built frustration since the project was proposed in 2011. Last week, directors of Miami’s Downtown Development Authority agreed to another delay, this one for three months. Supporters say it’s a good thing. Moishe Mana, who has invested in Wynwood and bought a portfolio of Flagler Street properties, wants to study with his architect, Bernard Zyscovich, a possible incorporation of cobblestones into the driving surface, said Mr. Alonso, a principal in his family’s real estate business. Mr. Mana will pay for the study, which comes as the project is between contractors. The city fired the first, F.H. Paschen; Lanzo Construction has been chosen to continue the work but isn’t under contract yet. The board didn’t discuss whether Mr. Mana would contribute to the upgrade if the study finds incorporating the pavers is the way to proceed. Adding cobblestone would probably require drainage changes and add engineering challenges, so reconstruction can’t go forward in tandem with the study, said board and Flagler Task Force member Gary Ressler, a principal of the Tilia family of companies, which owns the historic Alfred I. Dupont Building at 169 E Flagler St.
Mr. Mana is the street’s largest stakeholder, said Ken Russell, authority chair and Miami commissioner, and it’s appropriate that he weigh in on the project. Construction began in early 2016, but only one block has been finished. Authority members faulted Miami’s Office of Capital Improvements for not supervising the contractor. Multiple problems at the jobsite have include a maze of underground utilities that didn’t conform to site maps and other unforeseen obstacles. The project began before Mr. Mana acquired his properties, Mr. Ressler said. “Mana is now the largest property owner on Flagler, and he is passionate about the street’s success.” The street is already shut down and there is usually a construction moratorium in November and December for the holidays, he said. “It’s a moment in between,” Mr. Zyscovich said. “It’s three months at no cost to the city, to see if this is worth doing, and it’s the last possible moment” to make such a large-scale change before reconstruction resumes. “Does the city accept?” asked board member Jerome Hollo, vice president of Florida East Coast Realty. “It’s a matter of doing it right versus doing it fast,” Mr. Russell said. “I really trust the task force; they’re the stakeholders on the street.” Directors agreed, and unanimously approved the pause.